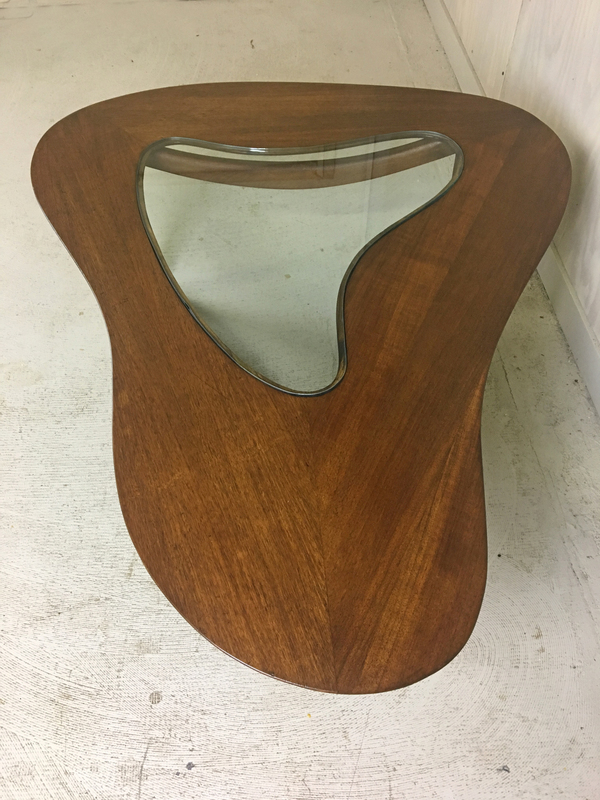 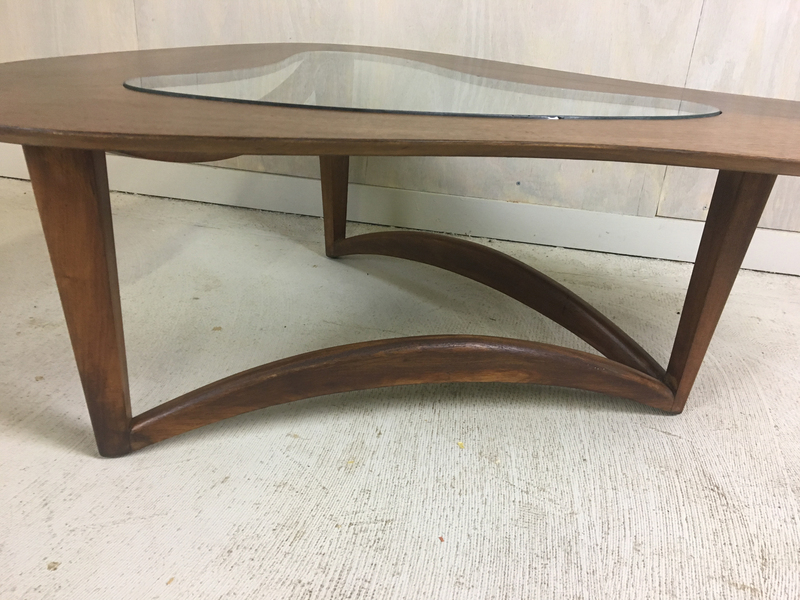 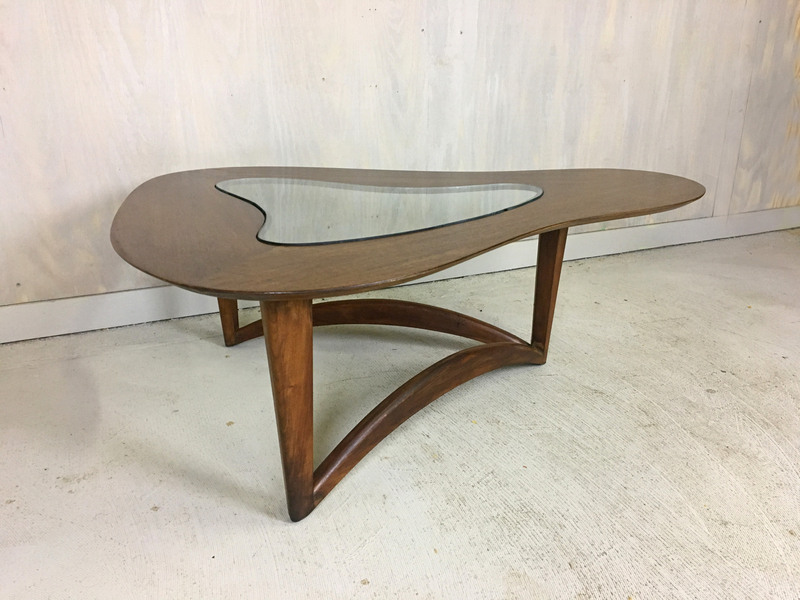 This biomorphic -- design suggestive of shape of a living organism -- walnut coffee table in the style of Erno Fabry is a stunning example of mid century design. 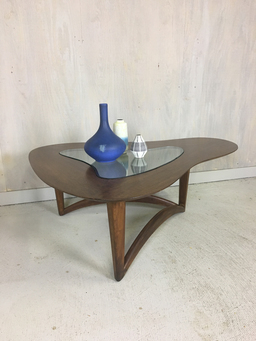 Heavy glass insert and sculptural base. The top has been tastefully refinished and is in very good vintage condition with only minor marks of age and use. 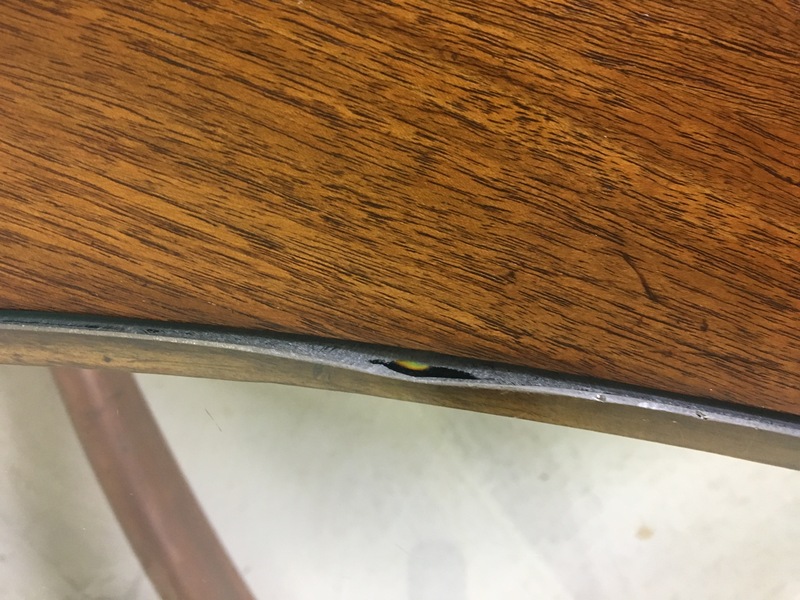 The glass has some scratches and two small chips- see photos.